Some guitarists like their chorus to be subtle and traditional. Others prefer bold and unique. 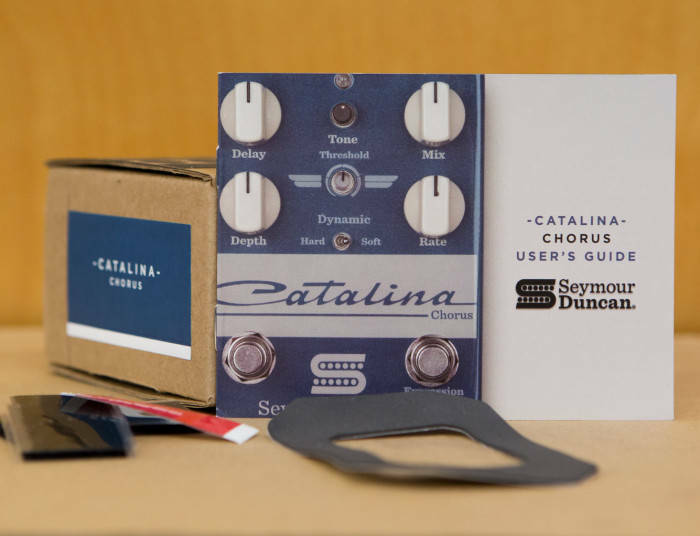 The Catalina Dynamic Chorus is designed to do both, with analog character and an unprecedented level of interactivity. 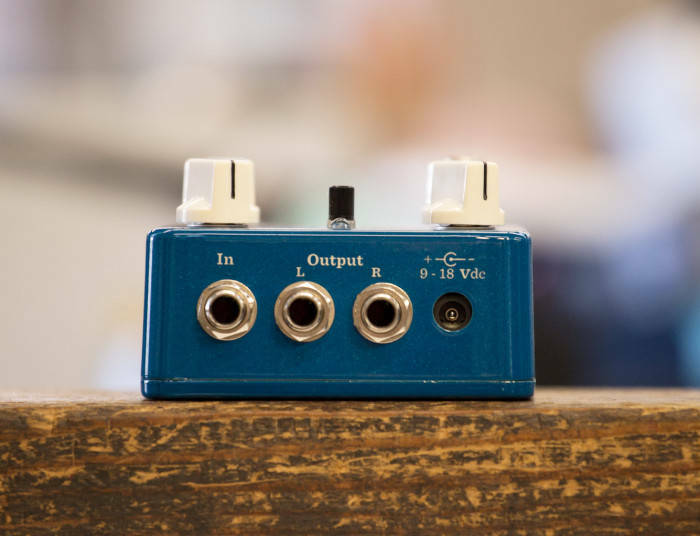 It has controls for Mix (from silent to unity to a +3dB boost for the wet signal), Rate, Depth and Delay, as well as a treble-attenuating Tone control for dialing in the clarity or warmth of the wet signal. And the Catalina also features a unique Dynamic switch which allows you to interact with the Depth control as you play: the Hard mode signals the chorus depth to increase as you play with more intensity, or flip it to Soft mode and you will receive more effect as you play lighter. Theres also a Threshold control to dial in the sensitivity of the Dynamic feature. 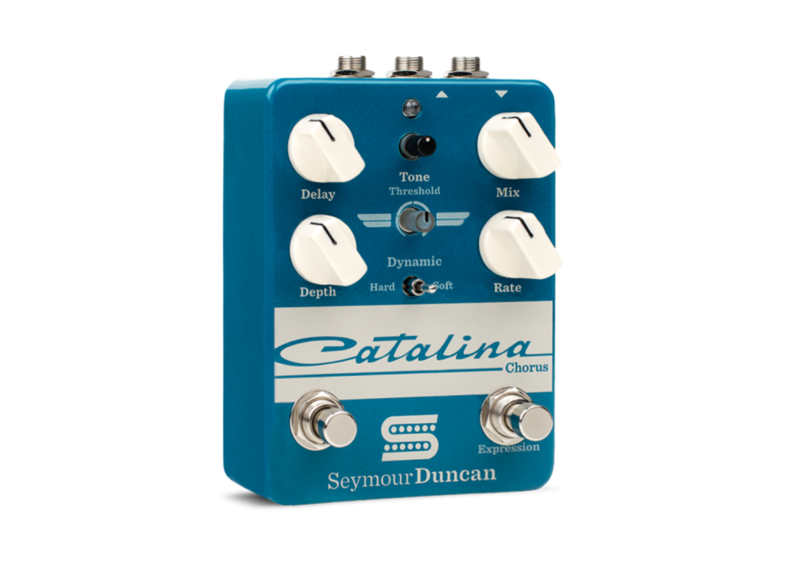 The Catalina has a mono input and stereo outputs, and the footswitch is True Bypass.